Elegant Scandinavian design. Practical handle. 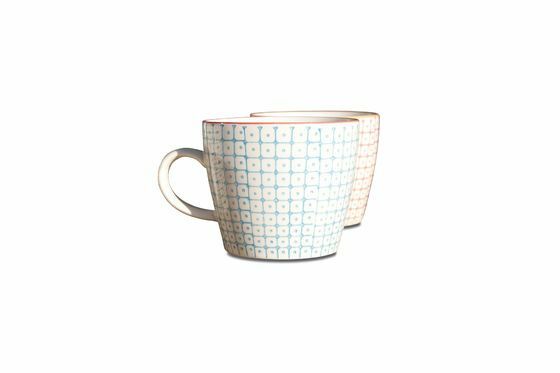 These cups impregnated with Scandinavian retro design will bring a touch of color to your breakfast, so you can start the day with a happy and especially aesthetic note. Hand painted, each of the 6 cups shows a different color, while using the same color as another cup on the edge. 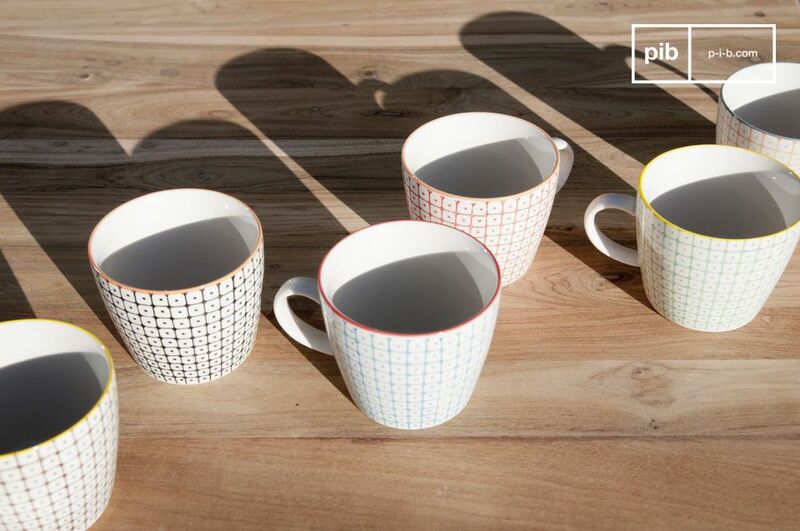 All cups have the same geometric patterns throughout the surface, which contributes to the retro look of the whole. 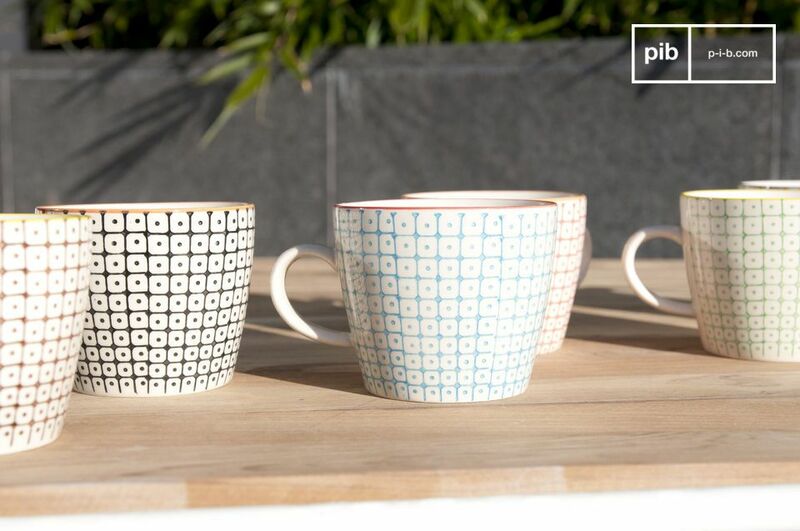 A handle completes these cups and allows their use without risk of burns. For breakfast or to share tea with friends in the afternoon. Discover the other models available in the Brüni collection to create a service to your liking.